First off, I want to thank all users who stuck with us over the past 6-7 years despite the simplistic nature of the site. And secondly, welcome to the new Random Trivia Generator, the blog, and this first of what I hope is many more blog posts to come. 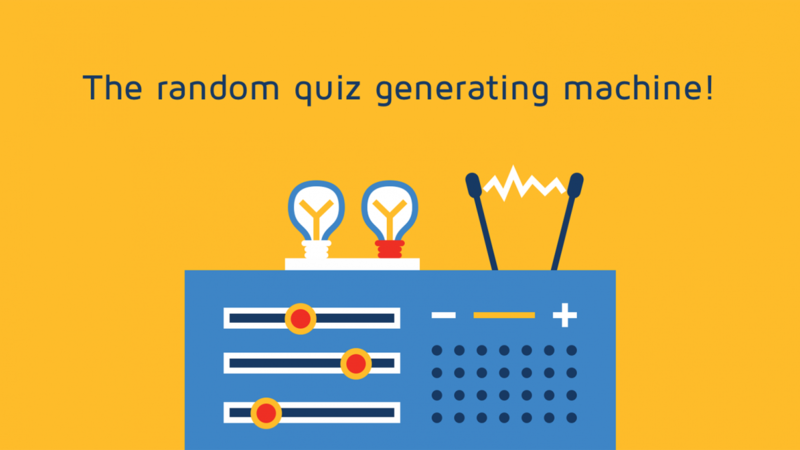 What is Random Trivia Generator? Random Trivia Generator was a trivia hobby project that was born in 2009 and made public in 2010. As a university student, I spent long hours commuting to school, work, visiting friends, family, etc. Travelling in a large city like Toronto takes time and back before smartphones were popular, readilyavailable and affordable, I used to read books while travelling to occupy my time. When with friends, we used to read each other trivia questions from books, games and random cards we purchased at thrift stores. Over time we had so many books and trivia games that it became a burden to travel with so many games. We also had gone through all trivia games we had and knew the answers to most questions. This was around the time I got my first smartphone, Nokia E71, and had access to a slow 3G network. I also had a couple of weeks off from school. So I decided to see if I could make a repository of my own trivia questions that I can access from my phone and stump my friends. So I did it! The outdated website you saw was originally made for a Nokia E71 phone and was never changed until now. Yes, that is 100% true. And until it became public, the site resided on my personal desktop that I was able to access through my phone. My close friends thought it was a fun idea so I made it public for everyone to access. We kept adding questions while we were in school but we abandoned it as soon as we graduated. The site and database sat unused by us for over a year after we graduated but when it came time to pay for another year of hosting, I noticed that the site was doing quite well and about a 1,000 strangers across the planet were using it every month. This drove me back to the site. And now, after 5 years of actively maintaining the database, I decided it was time to get serious and spend some money and time on its looks. With the help of Equal Parts Studio, my little trivia hobby project is finally in color and works across all platforms. There is even a new mobile app coming out this month. For a sneak preview of what to expect, check out the holding page at Random Trivia Generator. But it is not just the look that has changed. We have also updated the database structure to allow for the introduction of many new functionalities in the coming months and years. And this is the history of the site. One man, many contributors, many years and countless hours brought us all to this point – the new Random Trivia Generator. Thank you all and I look forward to sharing more trivia questions and quizzes with users across the world! Congrats on the blog! Best of luck on your site revamping project. Thanks Anthony. We are actually based in Toronto, but I didn’t know about the radio trivia contents. I need to check them out.